In 2012, my family and I were looking for where God was calling us to next. We searched all across the nation to find a church where I could preach, and we could live as a part of a family of Christ. In October, we came to interview at the Aztec Church of Christ. I’ll be honest. Google maps was discouraging me from being excited to move to a church with 17 families (that was the number of parking spots on the asphalt). What I didn’t think of is all the gravel available for parking. When we showed up, we were shown love and acceptance, and even our children felt this was the right move for us. We had another interview across the country the following weekend, but after visiting that church, we were certain that Aztec was the place for us. On December 1, my son and I pulled in to Aztec to begin working here (my wife and our daughter would join us in a couple weeks). This weekend marks five years of living and working in the Aztec area, and preaching for the Aztec church. Since that time, we have loved living in this area. It has not always been easy, but we can’t imagine living anywhere else. The church is full of great people who genuinely love one another. We may not always agree, but even in our disagreements, we seek resolution and reconciliation because of our driving desire to love. This is what the greatest commands are all about. Love. So why am I telling you all this? First of all, it’s because I’m excited for this milestone of five years. But I also want to talk about what I notice about the Aztec Church of Christ. I’m not blowing smoke about the love of this congregation. Long suffering was how the preacher selection committee described the church when we came to interview, and this description has proven absolutely true. I’m not the easiest person to work with due to my driving personality and constant desire to change. Yet, the leadership of this church has continually striven to work with me, and I have grown tremendously over these past five years. You, my church family in Aztec, have become my friends. I don’t just feel like a hireling, for the church doesn’t treat me as such. This is important to every preacher, for they do not see themselves as separate from the congregation, but it is common for them to be constantly treated as outsiders or the hired help. My family and I are members of the Aztec Church of Christ, and I happen to also do the preaching. 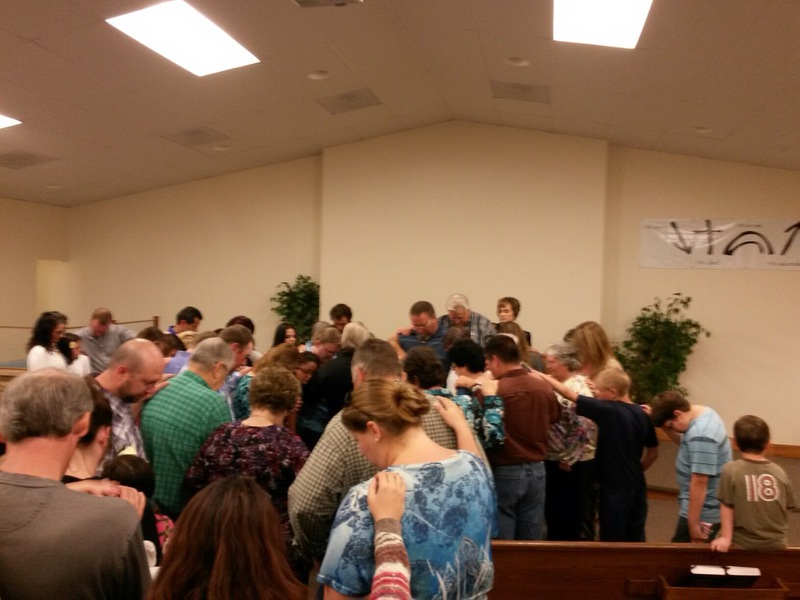 This church has grown in many ways over these past five years. I’m not just talking about all the new members; the people in the church have shown and expressed growth as we journeyed together these past few years. The fickle nature of the oilfield has brought new people and taken several families away, but the church continues to be a welcoming place of encouragement and acceptance to all who come, and she celebrates with those who have found new opportunities elsewhere, though we miss them. The Aztec Church of Christ is a place where questions can be asked without fear, and topics can be discussed in genuine camaraderie. This is important as we all seek growth in our understandings and understanding in our ignorance. This is what fuels true growth as disciples. Where questions are not welcome, control governs. There are many more things I’ve noticed about the Aztec Church of Christ, but these bring me joy and remind me why I’m glad to work in Northwest New Mexico. I hope and pray that we will have many more years of working in the Kingdom together. Thanks for these great five years! My kids have been introduced this year to basketball. We signed them up at a church in the next town for Upward Sports. Having never done basketball before, there is a pretty sharp learning curve when someone is thrown in with other kids who have played for the last two years. Each practice and game is filled with input from both coaches as the kids try to learn the skills needed to win. Game times are extremely chaotic. There are usually two basketball games going on simultaneously with only a double-row of chairs separating the two games. 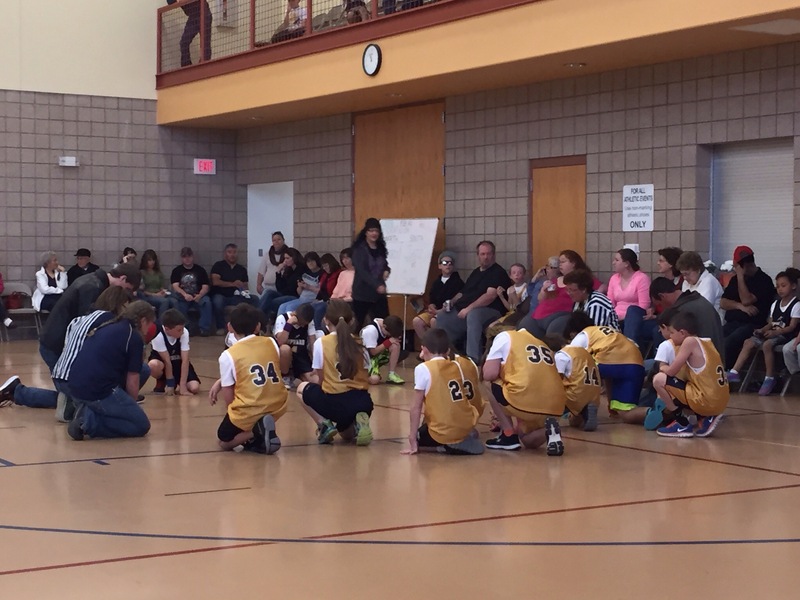 Kids on one court hesitate when the referee on at the other game blows a whistle. Parents are stacked on top of one another to watch their kids. There is yelling from parents and coaches alike as they all try to encourage their kids to take this shot or pass the ball or block that person. In the midst of the chaos it is difficult for the kids to hear the voices that are speaking to them and trying to help them excel at what they are doing. Isn’t this so true in each of our lives as well? We have voices coming at us from all sides daily. There are voices on the television and radio. There are voices from our bosses and coworkers. There are voices from our friends and neighbors. There are voices from our families. There are voices from the books we read and the internet. There are even voices within our own heads. Each voice is trying to earn the right to influence your actions. if you consider Jesus your shepherd, then his voice should be the one that rings out through the chaos of noise in your life. You will come to recognize that voice more easily as you spend time with she shepherd in his word, through prayer, and as you spend time with others who are listening to and following the shepherd. It will also be easier to recognize the shepherd when we whittle away the other voices in our lives that stand in stark opposition to our shepherd’s voice. We may not be able to get away from the voices, but we don’t have to give those voices any rights within our lives to dictate feelings, choices or actions. What has been your experience with church? Maybe you are a faithful attendee somewhere, but maybe you aren’t. Most people are familiar with Christian churches on some level. Some people have attended a church or two at various times. Some people have seen churches and church people on the news. Some people merely have family or friends that they know who “go to church”. The are many different kinds of churches out there, and like all things there are good and bad churches in the mix. Some churches are doing magnificent things to help the people and communities around them and around the world. Some churches have great motivational speakers with enormous campuses and loads of money. Some churches are known because of the hatred they spew on anyone who thinks or acts differently than them. I want to stop right now and say that if your experience with church has been negative in any way, I’m sorry. I’m sorry if you were shunned or ridiculed. I’m sorry if people hated you. I’m sorry if you weren’t treated with love, grace, and respect. Those “churches” and church people aren’t followers of Jesus. They are merely role-players involved in a country club that calls itself church. That’s not what church is supposed to be. Church is for everyone. Church is for you. Jesus said the church was meant to be a hospital for people dealing with the hurts and hang-ups that life throws their way. It is meant to be a place of healing and love. It is to be a place where grace is not merely spoken of and accepted, but it is given freely. Church is a place where those who are alone can find a family. The church is meant to be a place of joy and fellowship. It is a place where the bible is studied and taught. It is a family that laughs and cries together. It is a home away from home. Churches that follow Jesus know this. They will welcome you – no matter who you are. They will accept you where you are, as you are, but they will love you enough to encourage you to walk with them as they strive to become more like Jesus. Jesus died for the church. 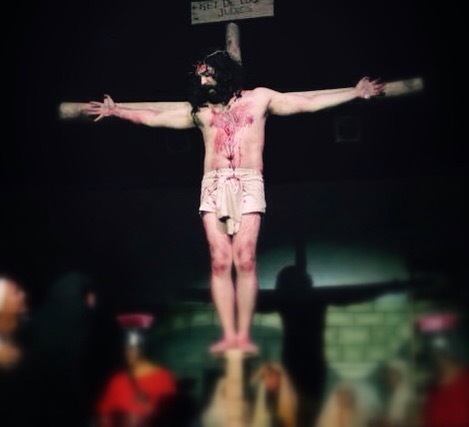 He rose from the dead for the church, and he opened wide the gate to anyone who wants to be a part of His church. He didn’t set men up to dictate what the church should believe. He sent His word through the bible to tell us His plan for us. People who truly follow Jesus study that word, and not the whim of some sinner. I hope you have a wonderful church to which you belong. If not, you are welcome to worship with us at the Aztec church of Christ. We are a bunch of people who aren’t blood related but treat each other like family. We don’t dress up and don’t expect you to either. We serve Jesus, and we study His word in the bible to know how to be more like Him. Come visit sometime. 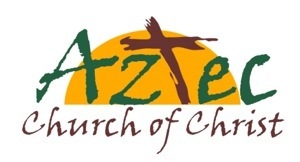 You can find out more about us on our Facebook page at http://www.facebook.com/AztecChurch or on our website at http://www.aztecchurch.org. You can even call our office and speak to me at (505) 334-6626. We would love to get to know you and welcome you as a family member. God bless you.